Would you like to substantially improve your chances ofenhanced wealth, luck, relationships, health, business success, new opportunities, career, creativity, child development and so much more? You can now instantly select the perfect date to ensure the best possible start to: Getting married** bank money ** relationship ** Engagement ** Start a new business ** Job interviews ** Depositing money ** Lending money ** Moving home/business ** Travel ** Placing Feng Shui cures and enhancers ** Conceive a baby ** Study ** Caesarean birth ** Auspicious date and time to sign contracts ** Surgery cosmetic or normal ** Commencing new Project/venture/business ** Starting marketing/advertising campaign ** Changing bed clothes ** Moving bed ** Grand opening ** Burial/cremations ** Ground breaking ** Planting and digging holes ** Investments ** ** Legal actions ** Collect debts ** Appeal decision ** Legal negotiations ** Spending time with friends & family ** Haircut ** Acupuncture ** House repairs/renovations ** Plus many more. With any version of this software you can select days and times for all modern day tasks. About the author and creator of the software. Feng Shui Master Practitioner, teacher, author and researcher Michael Hanna is one of the most sought after Master Practitioners in the world and has helped thousands of people and companies from all over the world transform their lives for the better. Michael was born in Hong Kong in 1958, married to Josephine for 27 years with two wonderful children. He has travelled the world many times over and his longest journey, Feng Shui began in 1979 and since then he has been greatly honoured to have been personally trained by world famous Lillian Too, Master Yap Cheng Hai Feng Shui Centre of Excellence and many more who are all exceptionally highly regarded and experts in their field, although some practice slightly different styles (same schools) of Feng Shui which has been a major advantage for Michael in his practice as the balance between them all has enabled him to practice a traditional, classical and also modern approach to this intricate art. With over 19,000 clients throughout the world, websites that receive in excess of two million hits per month and a monthly newsletter which is widely read by over 80,000 Masters, Practitioners and Feng Shui enthusiasts throughout the world and is one of the longest running. We regularly appear on TV, newspapers, magazines and we have won many awards and received more testimonials than you can ever imagine. A true measure of our success and knowledge is the fact that we are consultants and teachers to other Feng Shui consultants from every corner of the world. As well as busy Practitioners we also founded and run the world famous International Academy of Feng Shui, attracting students and Feng Shui Practitioners from all over the globe including the United Kingdom, United States of America, Canada, Thailand, Iceland, Spain, Ireland, Estonia, Switzerland, Singapore, Malaysia, Brazil, India, and China, to name but a few. Over the years we have built an enviable client base ranging from Princess’s, Ladies and Lords, Sir’s, Count and Countess’s, Doctors, lawyers, many very famous clients and companies which I am sure you have all heard off. We have consulted on Manor houses, Mansions, flats, apartments, studio’s, mobile homes, homes in UK, USA, Canada, Thailand, Ireland, Scotland, Wales, Japan, Australia, Germany, Spain, Belgium, France, Bosnia, China, Hawaii, Sweden, Holland, Greece, Dubai, Switzerland, Austria, Malaysia, blue chip companies employing thousands of staff, small and large restaurants, hospitals, pubs, playschools, jewelers, schools, hairdressers, financial houses, brokers and even a fish & chip shop. You name the type of business we have probably done it. On top of all that Michael and his team are the creators of the world’s most powerful Feng Shui software originally developed for himself and then his students, it is now used by hundreds of Feng Shui Masters, Practitioners, Students and thousands of Feng Shui enthusiasts from every part of the world you can think of. Like the Feng Shui academy software we created back in 2004 the original version of the Tong Shu software was written by an exceptionally talented person (also one of the nicest people you will ever meet) called Justin Byrom BSc of Ocelot PC Services LTD for Michael to use on a day to day basis for his consultancy and then they decided to build a version for the general public and other Feng Shui Practitioners. Justin has managed to build and design a work of art in my opinion. With over two years planning and one year of software development we have brought to the public and other Feng Shui experts the most advanced date selection Tong Shu almanac software available anywhere in the world. 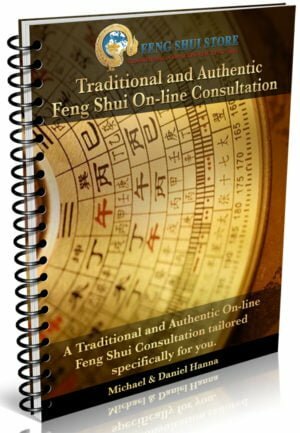 The vast (and extremely complex) calculations that have been coded into the software took many months, combined with several months testing with my Feng Shui Academy students and Feng Shui Master Practitioners from all over the world. As many of you will know we have produced a Tong Shu almanac every month for the last nine years and will continue to do so free of charge. The almanac page is visited by thousands of people each month as they know with good auspicious date selection they can improve their chances of success of many tasks significantly. The almanac we produce on our website each month is very basic compared with this software, as the dates and information provided to you is specific to your date of birth (four pillars) and of course with the software you can select dates from today to fifty plus years ahead with no restrictions. You are about to experience for the first time in history an accurate and authentic Tong Shu (Almanac) in software format. Millions of Chinese language copies of the Tong Shu almanac are printed each year and to my knowledge there are only a few English printed worthwhile versions available and these are just generic basic versions in printed diary and on-line versions. The Chinese and most Asian countries, along with a very large proportion of westerners, live their personal and business life by the Tong Shu Almanac, planning business meetings, construction, travel, marriage, engagements, dating, etc. 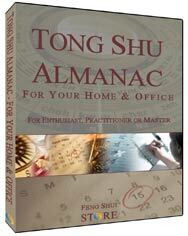 This software is so much more powerful than any Tong Shui Almanac book or on-line website. You will not find better. Our Academy Feng Shui software was released in August 2005 and fast became the Feng Shui industry standard for hundreds of Feng Shui Masters, Practitioners, students and thousands of homes and business in every part of the world and on the back of this unprecedented success we have revealed yet again many closely guarded secrets not just to the public but also many Feng Shui Masters, Practitioners and students will be eager to see the methods used in this most remarkable piece of software. The old adage `timing is everything` is so true because if you can start a task, project event at an auspicious time you increase the chances of success ten fold, we have used date selection in our personal and business life what seems forever and have clients all over the world who will not open the door to their multi million pound business without consulting Michael on date selection. There are many Feng Shui Masters that are not happy we released this software because it takes work away from them and others will criticise that our software does not include their method of date selection. Let me tell you, we have been selecting dates for thousands of clients for nearly ten years and if we followed every method of date selection you would not have one hour in a month that would be auspicious, that is not an exaggeration. Too many people take Feng Shui and date selection too far, with our modern lives we live we need breathing space and for those that use a traditional Tong Shu or follow a few websites and books each month you will know that most will tell you that it is bad to do any job in one day or your legs will fall off if you travel today etc. Plus many more. 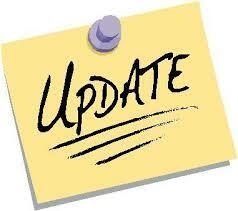 With any version of this software you can select days and times for all modern day tasks. Things to do list generator. Calculates displays and prints all Xuan Kong, (Flying Stars) 24-Mountains information according to property’s direction and year of construction for every building in the whole world regardless of which hemisphere you are living in. This information is given as a reference only. Since the time before the Han dynasty (206BC) date selection (Tong Shu almanac) has been a fundamental and crucial part of the Chinese way of life and used for nearly every life event that you can think off. In the early days it was only available to the great Emperors and even in modern times the advanced secretive information contained in this software is normally only available to the rich and famous who pay thousands of pounds for the information and even then some Masters often overlook many methods through lack of understanding. What Feng Shui experience do I need to use this software? Absolutely none at all, even if you have 30 years experience you will find this not only provides valuable information, it is also a piece of software that you can use to run a Feng Shui consultancy business and if you buy the business version you can input your own company details and logo, personalised to you exclusively. A couple of these methods are used as a reference only as they form part of the traditional Tong Shu and I know many Asian people would still like to see this method. The 28 constellation method as an example is a generic date selection method although you will find it in many standard Tong Shu Almanac’s. The secret with date selection and using this Tong Shu Almanac software is to actually start with looking at and avoiding days that are not auspicious like a three sha or day breaker day. You then look at the Chinese Animal forecast section and select days that are auspicious for you as an individual and then work alongside with the good and bad days activity list and so on. The good news is if you go into the Tong Shu daily planner section you can do this all from the one page. In the days before I had this software built it took me many hours just to calculate this and very expensive for clients. You will have a very powerful system in your hands and if you use it correctly it will ensure a good start to every task. Three versions of the software, which one should I buy? Home & office version: The only difference in the business version is the software can be personalized for your company and details like logo, address, phone etc are added into printed/emailed reports. Please only buy this business version software if you intend to run a business from it or can see a benefit of personalizing your printed reports, you get exactly the same software as the home & office version, the only difference is your company or personal details can be added to the software printed/emailed reports. Working on the Tong Shu Almanac software has been a rollercoaster ride of excitement, innovation, frustration, late nights and many many brainstorming meetings with Michael, Jo and Daniel Hanna. Nearly a year after the first tentative lines of code were eagerly typed in, the result is a stunning piece of software that is just a pleasure to use. Thousands of hours of intense, sometimes seat-of-your-pants development work has gone into this software. We enjoyed building it. We hope you will enjoy using it. You have two options below to purchase a license to install this software onto one or two computers. We have made the price difference very low between 1 & 2 computers so homes with two activate users can enjoy the software in the same household with no restrictions on loading on a second computer or laptop for travel. Please do not order the two computer version to share with someone outside your home or business.